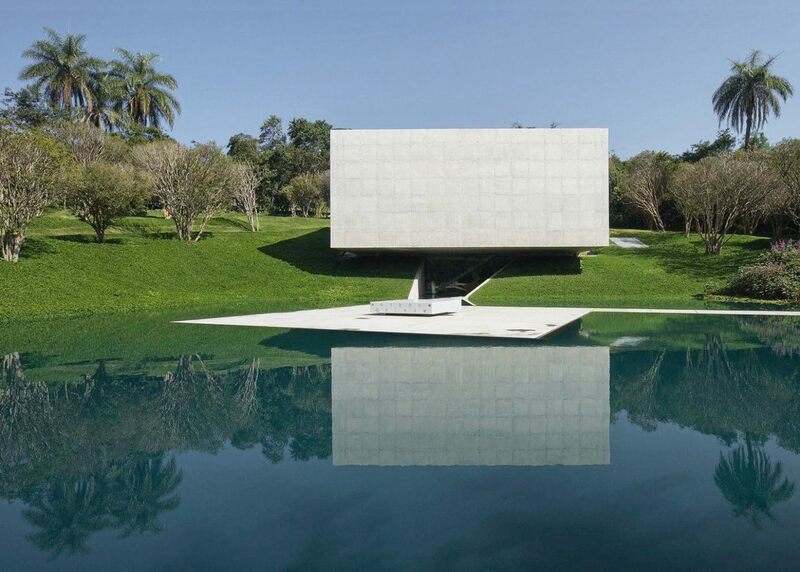 The breathtaking sprawling estate of the Inhotim Museum in Brazil is populated by architectural pavilions, art and botanical gardens housing one of the largest foundations of contemporary art in Brazil. 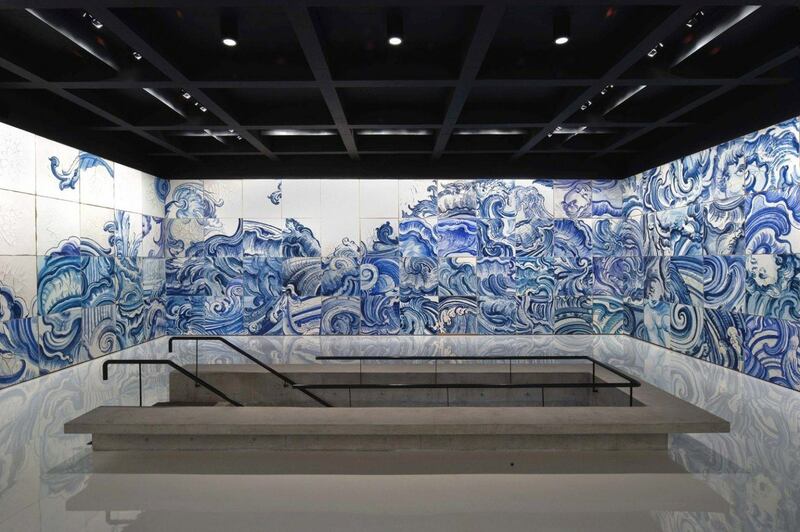 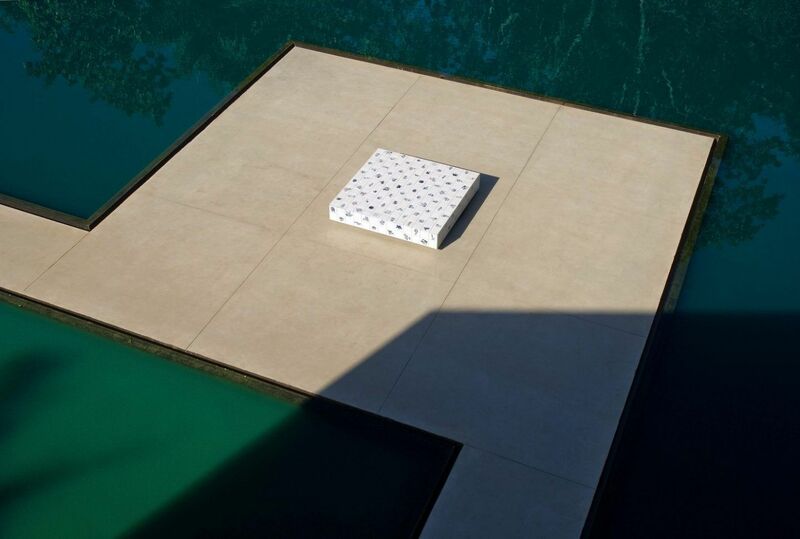 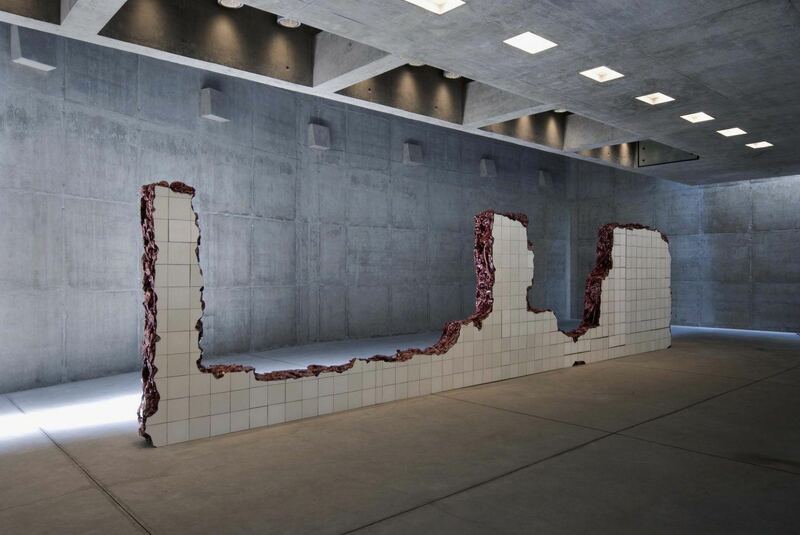 Sao Paulo-based studio Tacoa Arquitetos recently completed the Adriana Varejão Gallery which in itself is a work of contemporary art. 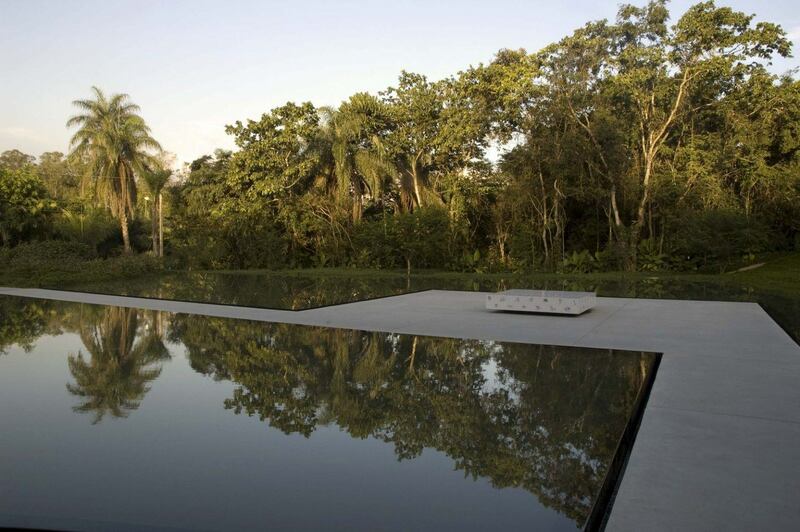 Located just beyond the town of Brumandinho in Minas Gerais, the lush and sometimes forested site that houses the museum measures over 1900 acres. 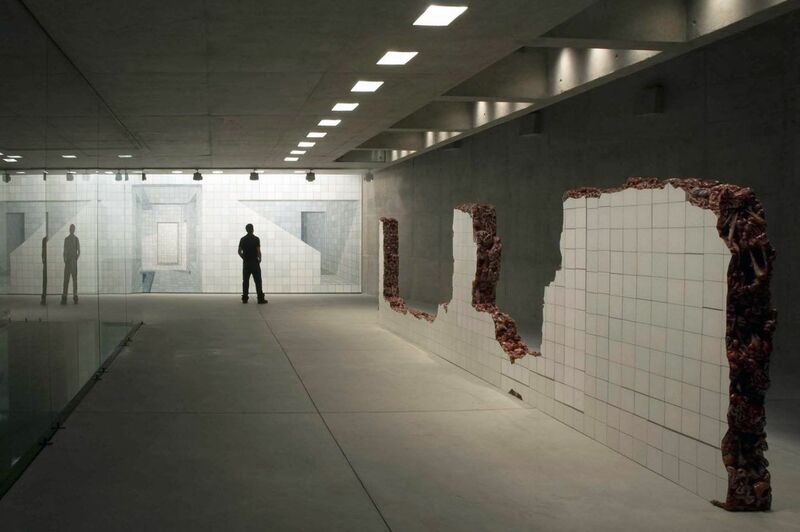 The museum itself has an unusual architectural concept, composed of individual platforms and pavilions rather than a single space. 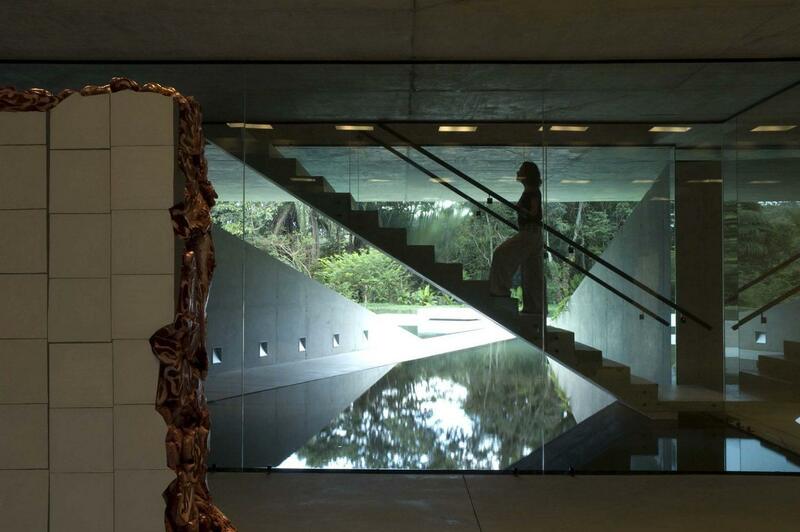 Tacoa Arquitetos was enlisted to to create a space that would house two of the namesake artist’s works: the sculpture ‘Linda do Rosario’, and the polyptych ‘Celacanto Provoca Maremoto’. 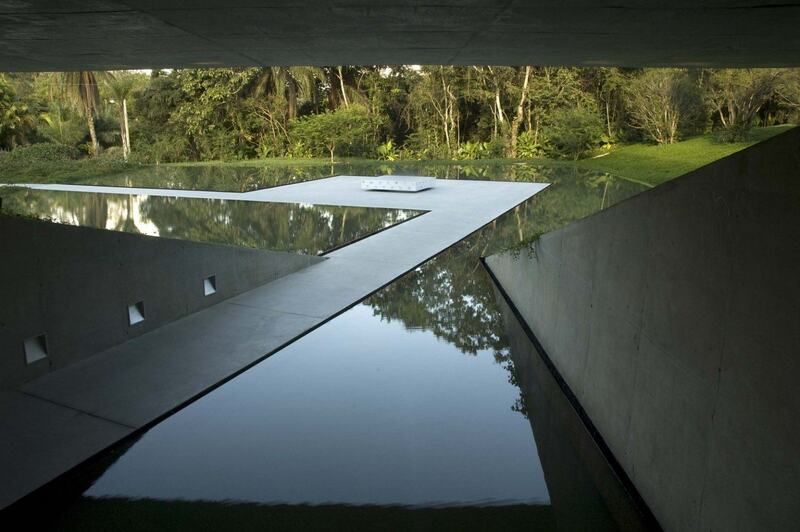 The site they were given was slightly sloped and partially surrounded by forest, here the architects carved into the landscape to create a concrete space that is subterranean and bright, opening onto a glassy water feature with views of the Brazilian forest.